Plaque HD, with Targetol Technology, is plaque-identifying toothpaste, which helps patients to identify and remove all traces of plaque from the teeth. It’s a one-step, easy to use, product that helps to fight cavities, prevent gum disease and freshen the breath. Targetol Technology attaches to plaque build-up and discloses coloring agents to target areas missed during brushing. By identifying hard-to-see plaque, you can completely remove plaque for a clean smile. Dr. Jacqueline Fulop-Goodling, D.M.D. 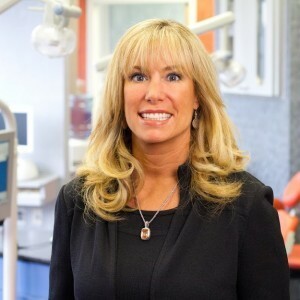 PC, owner of Dr. Jacquie Smiles, now offers patients a solution for plaque removal, with a new product called Plaque HD-Professional Plaque-Identifying toothpaste. Let us help you achieve the smile you deserve. Contact us today for a free consultation.